There is a lot of talk about the end of support date for Windows XP, announced by Microsoft. Windows XP , is a member of the Windows family of operating systems that have been developed by Microsoft. The eldest of this family, Windows 1 was released in 1985, and the youngest, Windows 8 was released in 2013. This family has spawned various operating systems such as Windows95, 98, 2000,XP, Vista, 7 and Windows 8. These are all operating systems, which are a central part of the successful working of a computer system. The operating system controls the internal workings of your computer system. When you press a key on the keyboard, the letter that corresponds to that key, displays on the screen, the operating system organises this. When you open a file the operating system is the one that retrieves that file and displays it on the screen. The list of tasks that an operating system performs are endless and in general, they do a competent job of running your computer. It almost seems trite to say that over the years computers have changed and the way people use them have also changed. Now over 77% of the people in Ireland have an Internet connection. 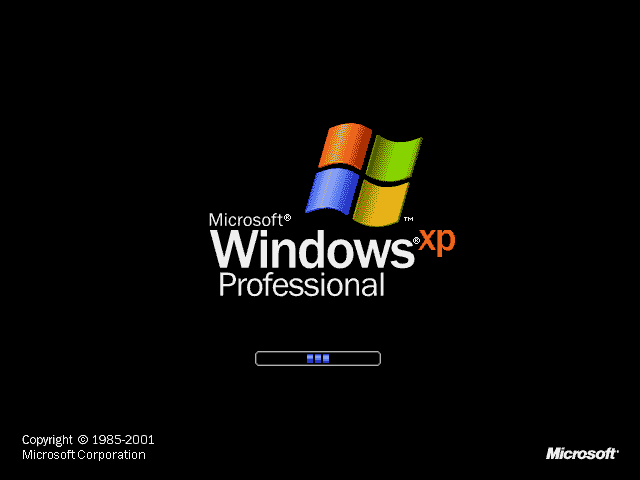 Windows XP was released at a time when there was no social media, and most people, in Ireland, were using a slow dial up connection to access the Internet. Over the years since its inception, Microsoft have developed upgrades to Windows XP, to keep it working in a changing environment. As peoples’ use of computers changed new operating systems were released and older ones upgraded to keep pace particularly with the security threats of which we are all too familiar. What they are saying now, is that they will not be doing this anymore. Which, potentially, leaves Windows XP systems vulnerable to Malware attacks. Windows Xp will still work after April 8th and the popular security programme providers have stated that they will still provide systems that will protect Windows XP systems for the next two years. Microsoft Security Essentials will have updates available for a shorter time. The need to switch from Windows XP is inevitable, the timing is of your own choosing and available budget. I would recommend that people who rely on computers for their business and are using a system with Windows XP, would look at changing to a more modern operating system, if the computer will handle it or transfer to a Linux based system. 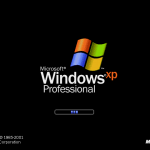 The world of computers is constantly developing, XP has been managing computer systems for 12 years now and it is time to let it retire gracefully. For those who wish to stay with XP Urban Scrott of Eset produced the following article, which outlines what you need to do. As you may have read in my post earlier this week about the end of days for Windows XP, Microsoft will cease providing security updates for this operating system on April 8, 2014. Microsoft will release its final security updates for Windows XP, and stop providing support and fixes for it. The operating system will still function the same way it has, and all old updates and fixes will still be available, but regular system updates are used to repair exploits and patch existing security vulnerabilities. 1. The first thing is to make sure that you back up your computer’s files regularly, and periodically test your backup strategy by restoring backups, preferably on a different computer, a few times a year. This helps ensure that in the event of a catastrophe, you will still have access to the information on your computer. The time to worry about your backups is not when faced with a virus, fire, earthquake or other calamity. 2. The next thing to do is to make sure that your copy of Windows XP is up-to-date. Although Microsoft will stop making new updates for Windows XP after April 8, 2014, all of the old updates from before then will still be available, and should be applied. This also applies to the device driver software (a device driver is a computer program that allows the operating system to communicate with a particular kind of hardware), which may be available from your computer manufacturer or Microsoft’s Windows Update web site. 3. In addition to the operating system and drivers, you should also make sure you have the latest versions of your application software on the computer, and that those are fully-patched and updated. Programs like Adobe Flash, Adobe Reader and Oracle Corp.’s Java are frequently targeted by the criminal gangs that develop and use malware, so keeping these up-to-date is just as important as looking after the operating system. Other software that you use, such as Microsoft Office, web browsers and so forth, should be on the latest version and have the latest patches applied as well. 4. If the computer does not have to be connected to the Internet, disconnect or disable the connection so that the PC can only connect to other machines on the same non-Internet network. This will ensure that Internet-borne threats cannot directly attack your XP PC, and will make it harder for an attacker to steal data off the computer. 5. Make sure your security software is up-to-date, as well. There are lots of security programs available for Windows XP, and most of their authors have committed to supporting Windows XP for years to come. Some are free, while others are sold as a subscription. A discussion of the features needed to protect Windows XP is outside the scope of this article, but at the very least, I would recommend looking for a security program that combines signature-based and heuristic detection, includes a firewall, and has some kind of host intrusion protection system. Vulnerability shielding and exploit blocking will be useful as well, as Windows XP will no longer be updated by Microsoft to protect against these types of attacks. While these tips will help, your main goal should be figuring out how to move away from Windows XP. If it is simply a matter of replacing a critical application, work out the cost and build that into your operating budget, likewise for computer upgrades or even replacement computers. That may be a capital expense, and an unwanted one in this economy, however, it is still better than going out of business because outdated computers failed or critical data was stolen. Having to replace working computers every few years is not fun, but, like other mechanical equipment, computers do wear out and need to be replaced. Software, too, gets updated periodically, not just with security patches, but new features and functionality as well, that can improve your bottom line. For readers who are using ESET for their anti-malware protection, ESET is committed to supporting the Microsoft Windows XP operating system for 32-bit and 64-bit versions of ESET products at least until the end of April, 2017.